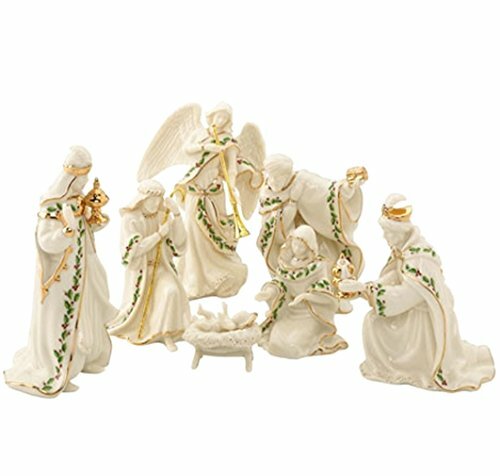 This seven-piece nativity set includes the Holy Family, three kings, and trumpeting angel. All in ivory fine china accented with 24 karat gold and our popular Holiday motif. New in Box! 1st Quality! In Stock Ready To Ship! Height Tallest Angel: 4 3/4"